All this funny spring-summer weather calls for light, bright flavours, and the lightest and the brightest of these is surely pickled ginger, or gari, that Japanese speciality that makes sushi and noodles sing. I couldn’t find the specified young ginger roots in any of the food stores in Rathmines (a pity; the tender little shoots turn a very pretty shade of pink after pickling), so I just made it with ordinary, fresh-looking ginger and it worked out perfectly fine. 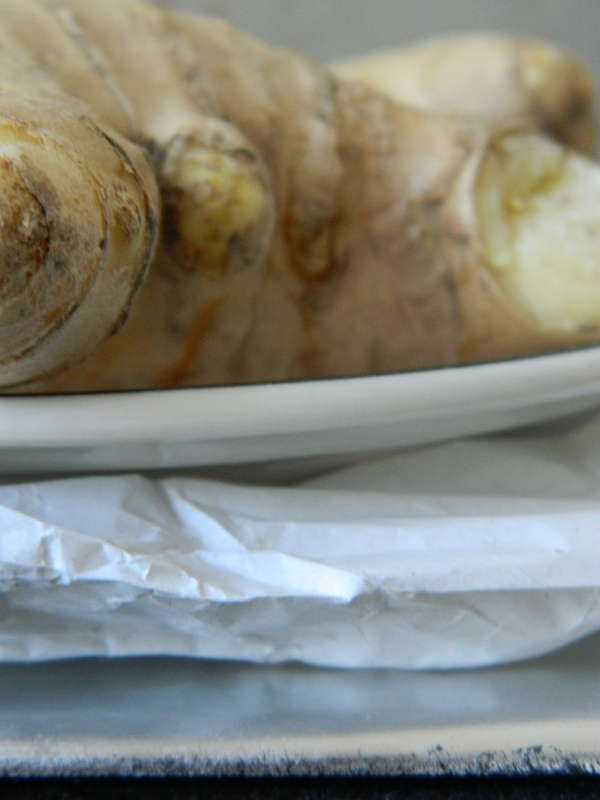 If you can’t find young roots, buy fresh ginger that is smooth and wet and non-woody when scraped. 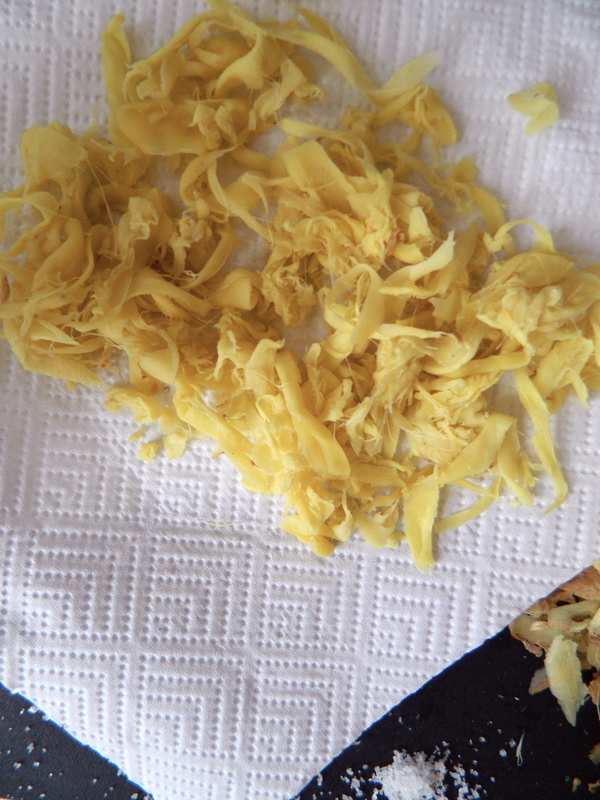 Scrape the fresh ginger with a blunt knife and then slice extremely thinly with either a mandoline (no, I still don’t trust myself to use one) or a good sharp vegetable peeler. Toss it in a bowl with the salt and leave it to sit for an hour to draw out the moisture. Then squeeze out the ginger and rinse. Pat dry. If you have managed to track down young roots, pat them dry flat on kitchen paper. 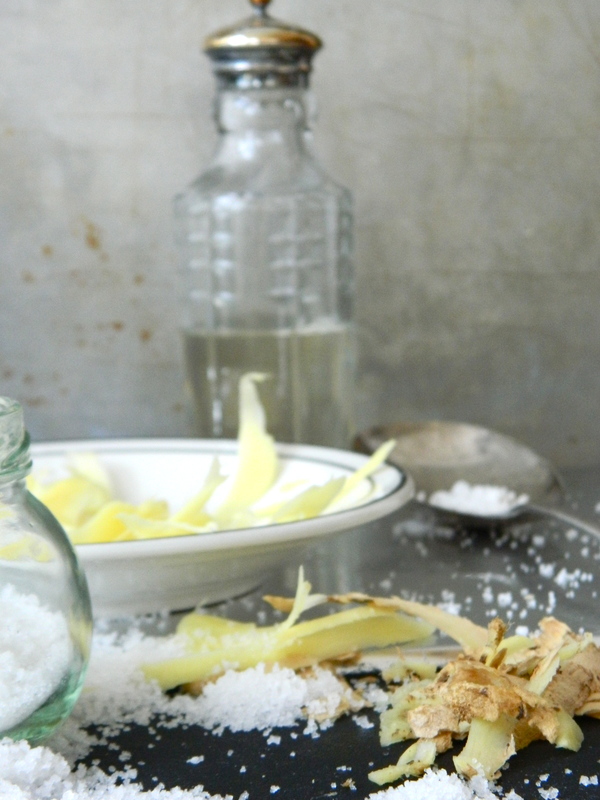 If you’re using ordinary ginger, you can give it a good squeeze at this stage so that most of the moisture is removed. 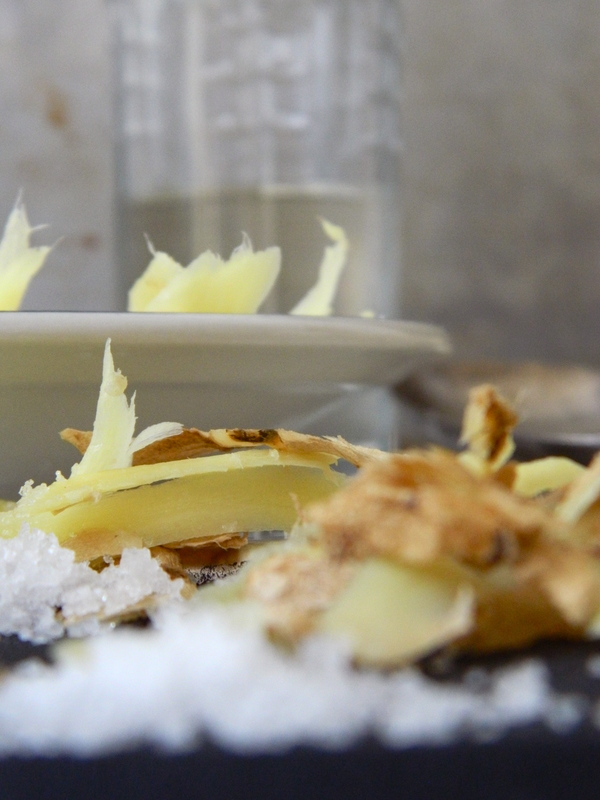 Pack the sliced ginger into a clean, warm jar. Bring the vinegar and sugar (30g if you don’t like it too sweet) to a quick boil. When the sugar has dissolved, pour it over the ginger. Give the mixture a stir and cover with a vinegar-proof lid if possible (ie, non-metallic). Leave to cool. Keep it in the refrigerator and use within 6 months. I’ll keep on searching for young ginger roots in some of the more ethnic – read ‘terrifying’ – Asian supermarkets on Moore St and Parnell Square – and if I find them, I’ll do the experiment and report back.